Someday the dream is to make this into a searchable database for games, but for now, a list will have to do. Some of the games that take longer to describe are links to other pages. While I describe all the games in English, I give the games very simple titles (with high frequency words where possible). This make them easier to teach the kids. My district is in the process of deciding what teachers are able to share online, if possible, I'll post pictures of students playing these games eventually. Enjoy, let me know if you have some favorites to add! My first job was as a babysitter, then a camp counsellor, then a research preschool in college (and a few years of waiting tables and working at Borders in between); then a teacher in a wide variety of ages and subjects for the last 12 years. My point is that I have played a lot of kid games over the years, the games below are among my favorite, and some that I feel are very meaningful for students. Many of the games are very simple, but I often find simple to be a good thing with young kids. I hope these games will help you too! One person is “it” and writes one of the numbers down on a white board (or if you want them to practice specific numbers, the teacher chooses the number). A student raises their hand to guess the number. If the guesser picks a number that is too high, the person that is ‘it’ says less. If a guesser picks a number that is too low, the person that is ‘it’ says more. When the number is guessed correctly, the person that guessed it is now it. Teacher says first number and tosses the ball to any student. This goes on until all students have had a chance (or until you reach a set number). Extensions: After a bit of practice time the ball toss. Ask students to beat their best time OR have a school wide competition. Teacher makes two sets of vocabulary words or grammar phrases (numbers, and letters work well too). Pass out one set to one team of students, and one set to the other team of students. Each student gets at least one card (fast processors and heritage speakers are often willing to take more than one card). The teacher calls out the target word, phrase, or number. The person on each team with the matching card needs to be the first to hit the object in the middle to score a point for their team. Extensions: Put all the numbers, phrases, or vocabulary in a big pile on desks on each teams side. The whole team looks for the number and then has to pick a runner to run it to the designated spot across the room. A fun general review game from Martina Bex (for all ages, but especially older students) in which the goal is to take points from the other teams. To read more, check out Martina's blog here. Each, quick and good for beginners. Just ask where is something ______ (fill in the color) students have to find an object in the room and touch it. They can call out the color or say ‘here’ when they find it. Students describe an object (start with color, can add size, number, quantity, descriptive words, etc). Other students have to guess the object, the one that gets it right goes next. Hide or place objects around the room. Have the students shout “here” or “I found it” or whatever variation reinforces your vocabulary or grammar phrase. Extensions: Split the class into two teams. Have 2 ‘finders’ (one from each team) leave the room so they can’t see where the object is hidden (I always pick a ‘guard’ to make sure their is no peaking). Hide the object in front of the rest of the class. The finders come back into the room. Their team can guide them to the hidden object or objects using direction words, saying the color of what it is near, or using the words hot and cold (changes based on level of your students). Same as basic version except, add vocabulary “Do you have”, “I have” and “Take it”. All students sit in a circle. One student leaves the room or is blindfolded. The teacher passes out a small object(s) (a button, etc) that can fit in students hands. The students all close their hands and put them behind their backs. The student comes back in and asks 3 students if they ‘have their’ object. The student says in the TL, yes I have it OR no I don’t have it. Get two clean fly swatters and a set of vocab words (I like to use my word wall). Divide the class into two (to up to 4 teams, a fly swatter is needed for each team). Call out the word in the L1, or in L2. Students need to be the first to ‘swat’ the correct word to win a point for their team. My other favorite TPRS/CI game. Can be used for all subjects and all levels of students. One of my favorite games of all time. Lots of CI, adapted from Martina Bex’s Mafia for elementary. See link below for full details details. One student has a list of target vocabulary (I like to use this and the next game to review high frequency words when we haven’t used them in a while, or when students finish early). The student with the list picks a word and acts it out without saying. The other students have to guess the word correctly in the TL. The student that guesses correctly goes next. Extensions: play as a class, in teams, or if students get really good, the person with the list has to describe the word in Spanish without saying it and the others have to guess it. One giant ball needed. I got mine on Amazon for under $10 a few years ago, and it still is going strong, despite lots of use. This game is similar to volleyball. In my room I divide the room with a row of desks for the net. Class is divided in half. One side serves. The other side tries to return it. Play continues until one team (Team A for example) hits the ball onto the other team’s side (Team B in this example). Team A gets a chance to answer a question (vocab, PQA, Grammar, story based, etc). If Team A gets it correct they win the point. If not, the other team has a chance to answer and steal the point (I say they spiked the ball back). Extensions: For upper level students they can’t hit the ball unless they say a # (I have my students count sometimes). OR they have to say a word in the TL to hit the ball. This is a game to play outside or in a gym. Pre-write answers to questions (could be anything) on giant posterboard. Divide class into teams (4 to 6 per team is best). Set up signs with answers at the opposite end of a field. Have students face the answers in lines with their teams. Teacher says the question, first to run across the field and tag the correct answer wins a point for their team. Team mates can shout out answers or encouraging words in the target language. Same basic concept as “Run” except you write answers or pictures on smaller signs and can play it in a classroom. Clear the room and use two chair with a bit of space between them as a goal. Tape a piece of masking tape from the top of one chair to the other to make a goal. Hang a few ‘answer’ signs from the tape. Divide the class into teams (one soccer ball per team needed (I use NIke soft ones in class so stray kicks don’t do damage to anyone/thing). Teacher says the question, one soccer player from each team must kick the ball under the goal with the correct answer. Students sit in a circle, one person is it, they walk around and tap the students on the head, and say duck, duck, duck till they tap the person they want to be it, then they say, ‘goose’. BEFORE the goose stands up, the duck must ask them whatever question you want them to practice ( How are you? What are you like? Do you want Pepsi or Coke? Do you have a phone? etc). After answering both students run around the circle. The first back to the spot is safe, the student left standing is ‘it’ and has to start over. Students that are sitting in the circle can yell out encouragement in the TL. I like/I don’t like - I want/I don’t want. (AKA Shark and Fish). Use whichever of these high frequency targets you want to practice. Have students stand in a line facing across the field. Mark a line on each side of the field (I use cones) showing where students have to cross to be ‘safe’. Choose one student to be the shark. The rest are fish. The teacher (or student if they have had enough practice) makes I like or I want statements. They can also say the reverse I don’t like, or I don’t want). If the ‘fish’ agree with the statement (i.e. The shark said “I like chocolate.” they then must run across the field and the shark says ‘eat, eat, eat’ (an extra chance to practice the word) and tries to tag them. Anyone tagged is now a shark, and does as the other shark does (only the ‘head shark’ or the teacher gets to make statements OR the teacher could choose different students to make the statement. One person (usually the teacher) stands up and says an ‘I like’ or ‘I don’t like’ statement. For example: Me gusta chocolate. Students stand up if they agree, stay seated if they don’t agree, or shrug their shoulders and lift up their hands if they don’t know. This game is a great way to involve the students in the language before they are ready to produce their own language, and is high interest. Students can make their own statements, or make ‘I don’t like’ statements once they have acquired the terms. Spanish Snowballs- This game came about because I knew I had to find a way to play with the fake snowballs I had found in class. I have come up with a few fun ways to use the snow in class. Whenever we do the weather, I throw a snowball at the first person that says "it's snowing" in the TL, if it's actually true. When it is snowing in the story we are telling, gently tossing the snowballs into the air while softly saying "it's snowing" in the TL is a coveted job. Throw and Stop. This is an easy and quick way to use the snowballs. Students can throw snowballs at each other as they go around the room. They must say the word 'throw' whenever they throw a ball. They are only allowed to carry one snowball at a time. When the teacher rings the bell everyone must stop (and say/yell (because lets be honest everyone is a bit worked up at this point) stop in the TL. The teacher asks a question for example "Do you want a Coke or a Pepsi" to practice whatever you want to practice (this is only with grammar/vocabulary the students are ready to produce). The students must ask and answer the question 3 times before they can throw the snowballs again. I circulate and help as needed. My favorite thing about this game is the most important rule: the teacher gets to throw all the snowballs before the students can start throwing. ;) My students ALWAYS want to play this game. 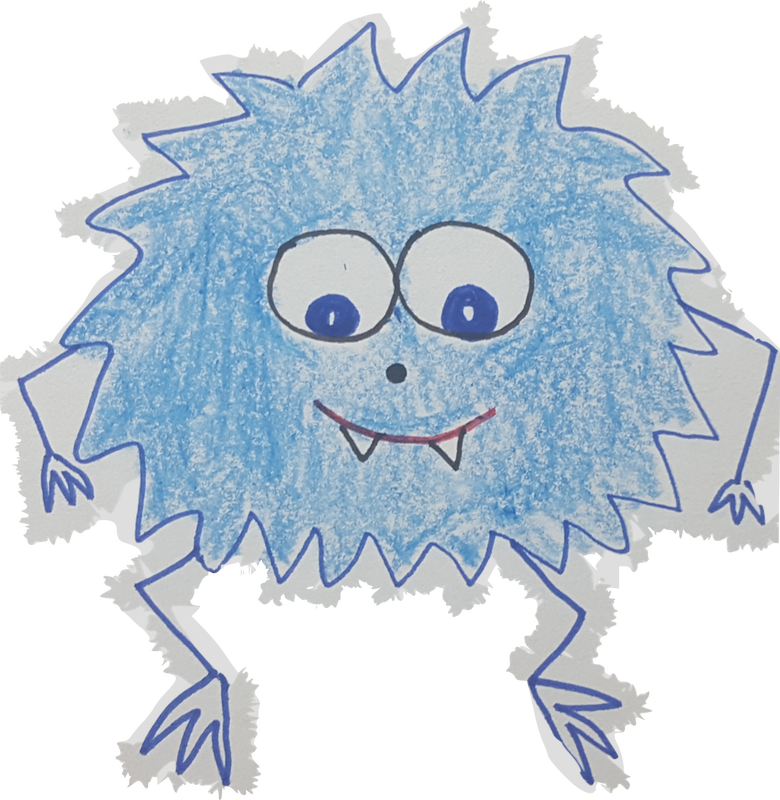 A variation of the above game is Spanish Snowball Monster Tag. I play this one outside at fun run as you need a bit of space and it is loud, it is a good game to play at the start of the year when you trying to get the kids back into the habit of saying please, thanks, and you're welcome in the TL. Set up a defined area of play (so nobody runs too far). One person is the "Monster" (the teacher helps the monster). The monster and the teacher are the only ones that get the snowballs. They run around saying "throw" and hitting everyone else. When you are hit you have to freeze. The only way to be not frozen is to yell out "please" in the target language. A friend grabs your hand, but that makes the friend "stick " to you. In order to be "free" you have to say "thank you" and your friend has to say "you're welcome" in the TL. Of course you could change the words to anything. This continues until you want to switch monsters. I usually end Monster Tag with at least a few minutes of the other version as everyone wants to "throw" the snowballs. No snowballs? Although it is not great for paper use another fun variation of this game can be used when doing Spanish nicknames or getting to know a class. Everyone must write "My name is _________" and their name in the TL on a small half sheet of paper. Students crumple these half sheets of paper up and throw them around the room like snowballs. When the teacher rings the bell, the students must pick up a piece of paper and pretend to be whoever's piece of paper they opened. For example, a girl named "Sarah" might open "Tom's paper" she then has to introduce herself as Tom. Students go around the room asking each other what their name is, and saying the name of the paper in their hand. Their goal is to recover their own name. When they encounter their own name they switch papers and sit down. The person they traded with has to continue with the new name. I've seen a variation of this game done with no snowballs and just handshakes. In this version you introduce yourself with someone, and trade names in the process. In the above example, Sarah, might say "Hi my name is Sarah, to Tom, and he would say "Hi, my name is Tom." to Sarah when they shook hands, but when they moved onto the next set of students, Tom would pretend to be Sarah, and Sarah would pretend to be Tom. You let this continue for several minutes so students can't keep track of where their name has "gone" then you let them find it by asking what each person's name is, and having them say nice to meet you. Comecocos-Cootie Catcher- Plug in whatever questions or high frequency words you want your students to practice. Give directions as to how to cut out and fold these in the target language, and then let your students practice and play! An empty free template I found many years ago online is here. Hand-clapping Games- Hand-clapping games are a simple but fun way to get your students practicing high-frequency vocabulary, to give them a brain break, and to connect with another culture. Check out a video to some great games our virtual pen pals sent us from Spain (lyrics listed below)! If you aren't a Spanish teacher try searching for games in your target language! ​Por cada palmada que des con tu compañero/a vas cantando, dos palmadas para choco-choco, otras dos para la-la,a continuación, haces una repetición de palmadas con choco-choco,lo mismo pero en vez de con palmas con la mano cerrada en forma de puño con te-te, ahora tres palmadas para cho-co-la, otras tres para cho-co-te y por último, una palmada para cada sílaba cho-co-la y para la sílaba "te" la mano cerrada en forma de puño. para casarse con un general. para casarse con Don Federico.